Agalloch will kick off a new North American tour on June 18th in Minneapolis. The tour will run through July 8th and will take the band through almost two-dozen cities in support of their latest album The Serpent & The Sphere. Different bands will be added as support in certain cities, including Obsidian Tongue, Vex, Jex Thoth, and Thrones. If you haven’t seen Agalloch live before I highly recommend it as they put on an absolutely stellar show that takes the material from their recordings and translates it over perfectly to a live setting. Check out the additional list of dates below. 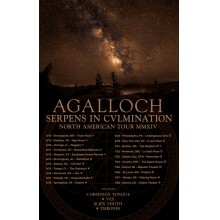 Portland’s AGALLOCH is readying to embark upon a full North American Summer excursion. Set to commence June 18th in Minneapolis, Minnesota, the Serpens In Cvlmination tour will wind its way through nearly two-dozen cities, coming to a ceremonial close on July 8th in Denver, Colorado. The band will be joined by Obsidian Tongue, Vex, Jex Thoth and Thrones on select dates. 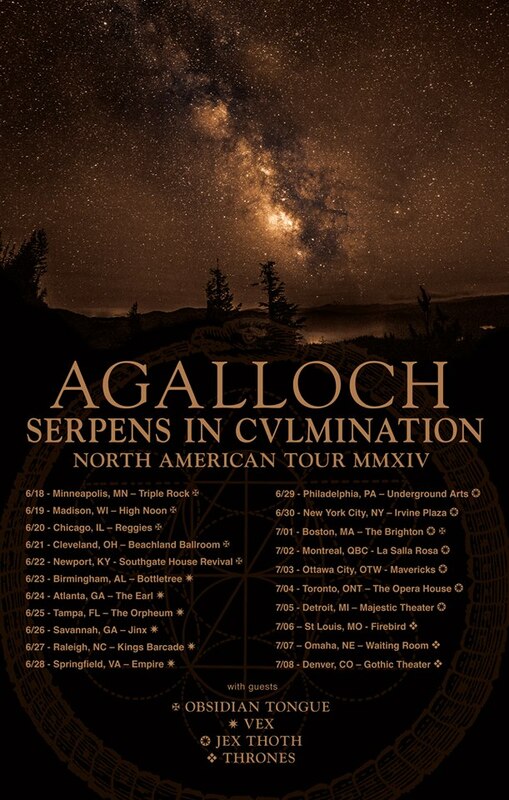 AGALLOCH will be touring in support of the recently unleashed The Serpent & The Sphere opus. The follow-up to 2010’s critically-adored Marrow Of The Spirit full-length, The Serpent & The Sphere delivers some of the band’s most forward-thinking and intriguing compositions to date elevating their progressive musical oeuvre to a challenging new level whilst still maintaining true to their signature sound. Purchase The Serpent & The Sphere at THIS LOCATION.